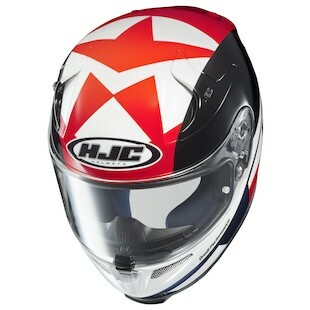 Following a few new helmet releases for HJC, the HJC RPHA Helmet line gets a smattering of new graphics as well. Including the RPHA-10, RPHA-MAX, and RPHA X models, this set of liveries will make your head spin! For all you MotoGP fans, this one is for you! If you've been following Ben Spies' racing career you'll know that the last few seasons have been rocky. He still rocks the premier class, but on a satellite team. Regardless, he is still one fast Texan and has a huge US following. The HJC RPHA 10 Ben Spies III Replica Helmet represents his latest team change to Pramac Ducati with a sharp Red/White/Blue color scheme. If you liked the last colorway, but are not a MotoGP fan, you should start watching this year! Seriously though, the HJC RPHA 10 Zappy Helmet has all the Red/White/Blue goodness of the Ben Spies III Helmet, without the racing reference. If this is still too loud for your taste, it is also available in Black/White. 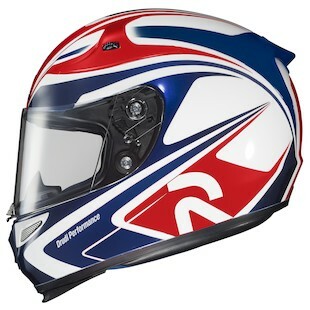 Last up for this model is the HJC RPHA 10 Combust Helmet. 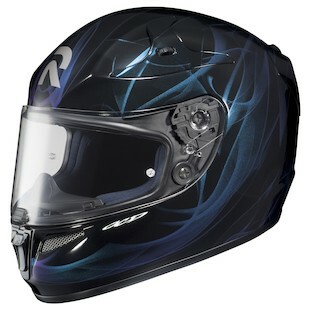 A dark, flowing Black and Blue design engulfs this helmet with something that resembles Northern Lights. While still very intriguing, this graphic is muted in comparison to the rest. Moving to modulars, this next one is made from Carbon Fiber! 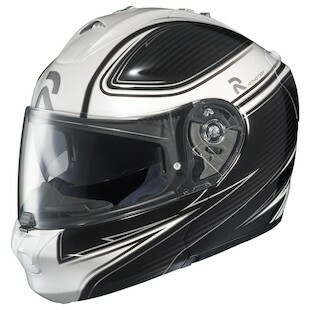 The HJC RPHA Max Align Helmet combines a glossy pure carbon finish with an angular white-striped overlay. This technique really shows the natural beauty of carbon weave without resulting in an all-black lid. A legend of Freestyle Motorcross, Nate Adams has carved a path through his sport right to the X-Games and never looked back. Tip your helmet to this legend with a blazing Black and Green livery. The HJC RPHA X Adams Monster Helmet puts your head in the game and takes the competition off your back. They'll be too busy staring at your awesome helmet to fight back. We've seen a lot of new HJC in the past few days. 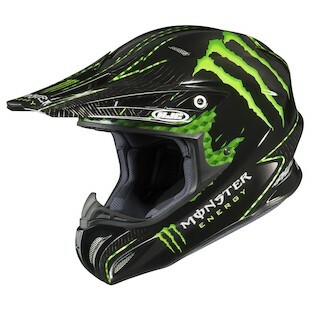 Take advantage of the advanced notice and be the first to rock your hometown with one of these awesome helmets. The marks on the sides of the Ben Spies 3 and the Zappy sure looks a lot like the Jorge Lorenzo JL logo.